In early childhood education there are a number of various philosophies – Montessori, Reggio Emilia, and High Scope to name a few. 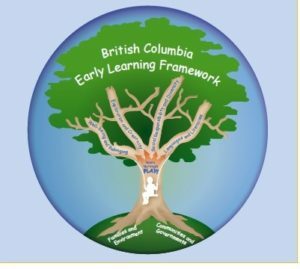 In British Columbia we have an Early Learning Framework. The development of this Framework was led by the Ministry of Education in partnership with the Ministry of Health and the Ministry of Children and Family Development. In creating this framework, the voices of numerous families, early childhood educators, teachers, researchers, post secondary institutions, and other early years service providers in B.C. were heard. This framework is meant to be unique to British Colombia. This framework recognizes that there are no pre-set ways to promote the four areas of early learning. 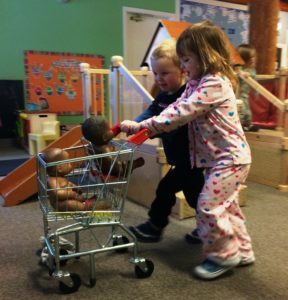 Many factors, including the children’s setting, caregivers, language, culture, heritage, religion, temperament, and abilities, shape the experiences that support early learning. It is important to note that the areas of early learning are all inter-related: learning in one area is likely to support learning in all three other areas. How do we incorporate the four areas of learning into the Whistler Children Centre? Science and research in early child development has shown that children learn best when it is based on their interests and relates/connects to the world around them. 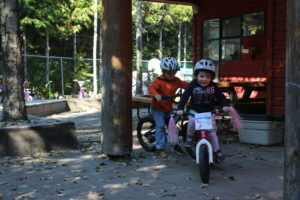 In a 3-5 year old program (Periwinkles and Marmots) a group of children got new bikes throughout the summer. How could this be incorporated into the classroom and provide valuable learning? In an Infant/Toddler Program (Dandelions and Sprouts) a group of children are anticipating the birth of new siblings. How could this be incorporated into the classroom and provide valuable learning? What if my child isn’t interested in bikes or babies? What is he/she only ever wants to paint! 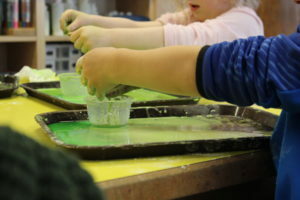 When activities are taking place all children are encouraged to participate but there are always those that are not interested. Therefore teachers are still able to support learning through the child’s activity of interest. The teachers provide a monthly calendar of activities and field trips but the learning that takes place in your child’s classroom each day goes far beyond what is planned on the classroom calendar. The calendar is meant to connect school and home and is also a way for you to open conversation with your child about their day. In the older classrooms the children also help contribute to the calendar planning activities based on their interests.